Imagine sharing a spectacular sunset with the one you love upon a private rooftop terrace while savoring a gourmet dinner or relaxing in your own plunge pool. Or perhaps you’d like cocktails with hors d’oeuvres, followed by a private reception, plus a special treatment at a world-class spa with your partner. And as you get ready in the Bridal Suite with those closest to you, sip sparkling wine and nimble on some fresh fruit. Now, you can have all these wonderful experiences complimentary* at Finest Playa Mujeres by Excellence Group and Beloved Playa Mujeres by Excellence Group. With the new group’s offers for destination weddings, the Bride and Groom will enjoy elegant privileges that will help create unforgettable memories. Starting with 10 rooms, the bridal couple will receive an upgrade to a Two Story Casita Suite with Plunge Pool at Beloved Playa Mujeres by Excellence Group or to an Excellence Club Two Story Rooftop Terrace Suite with Plunge Pool at Finest Playa Mujeres. These two suites have their own private rooftop terrace with an exterior plunge pool and lounge furniture and are amazing choices for the Bride and Groom as there are no other rooms that offers more privacy or more romance than these. And when staying at Finest Playa Mujeres by Excellence Group, the suite will be located within the adults’ only section. Starting with 15 rooms, the Bride and Groom will receive a wonderful Rehearsal Dinner to welcome their families and friends to the celebration and begin creating those memories they will cherish forever. Starting at 20 rooms, the Bride and Groom can add 10 extra guests to their Gold Wedding Package at no charge. 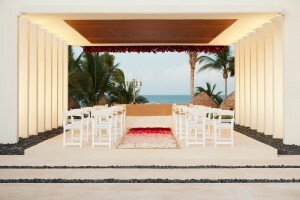 This package, normally limited to 20 people, contains special touches such as flowers, a video of the ceremony, a special treatment for the happy couple at the Miilé Spa, a private reception, cocktails with hors d’oeuvres, 45 minutes of live music, and much more. Starting at 25 rooms (or more), the Bride and Groom stay free. They receive all the perks mentioned above (the upgrade to the rooftop suite, the rehearsal dinner, the extra guests for the Gold Wedding Package), and now their entire stay free. Plus, as the Bride and Bridesmaids get ready for the ceremony in the Bridal Suite at the spa, they’ll also be treated to a bottle of sparkling wine and a fresh fruit platter. Located less than 25 minutes from Cancun International Airport, Finest Playa Mujeres by Excellence Group boasts 450 junior suites, each with more than 800 square feet of relaxation and oversized Jacuzzis, perfect for adults and families. Couples will enjoy the adults’ only sections with their own bars and restaurants, while children will love the amazing kids club with water slides and indoor play areas. For weddings, the Bride and Groom can start their happily ever after at the beach gazebo or stone gazebo, which hosts lovely receptions and ceremonies. Other elegant options include Las Dunas Beach House, which is located right on the beach, and the Sky Lounge where couples can hold their cocktail or dinner overlooking the ocean. Applauded by TripAdvisor Travelers’ Choice 2016 Awards as one of the top 25 All-Inclusive Resorts in the World, Beloved Playa Mujeres by Excellence Group is a boutique hotel with only 109 junior suites and a picturesque beachfront location, perfect for intimate celebrations. 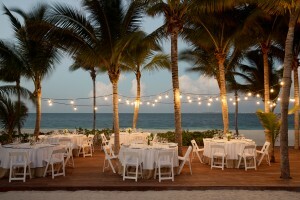 Ceremonies can be held on the beach followed by a cocktail reception at a palapa right on the soft sands or at Isla Grill, overlooking the turquoise Caribbean Sea. If seeking a luxurious escape in Punta Cana, then choose the brand-new Excellence El Carmen, located just 25 minutes from Punta Cana International Airport and offering upscale amenities like ground-floor suites with access to a swimming pool or their own private plunge pool. Gourmet offerings include unlimited lobster (at the Lobster House) and the flavors of Basmati, one of the few Indian restaurants in the Caribbean. 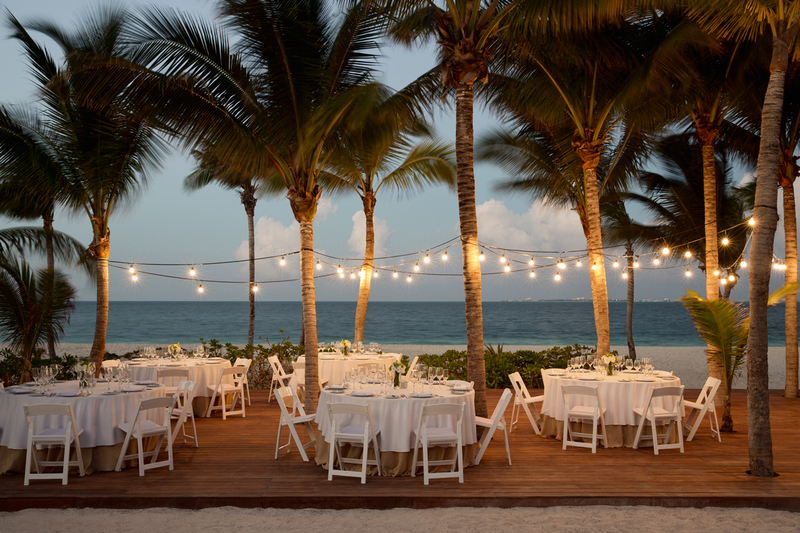 Book your wedding now as Excellence El Carmen opens Sept. 1, 2016. If you’re looking to return to your favorite all-inclusive resort, then choose the fully-renovated Excellence Riviera Cancun in Mexico. This all-suite resort offers guests a classic Mediterranean style along the powdery sands of the Caribbean Sea for a relaxing and refreshing escape, catering specifically to sophisticated couples. 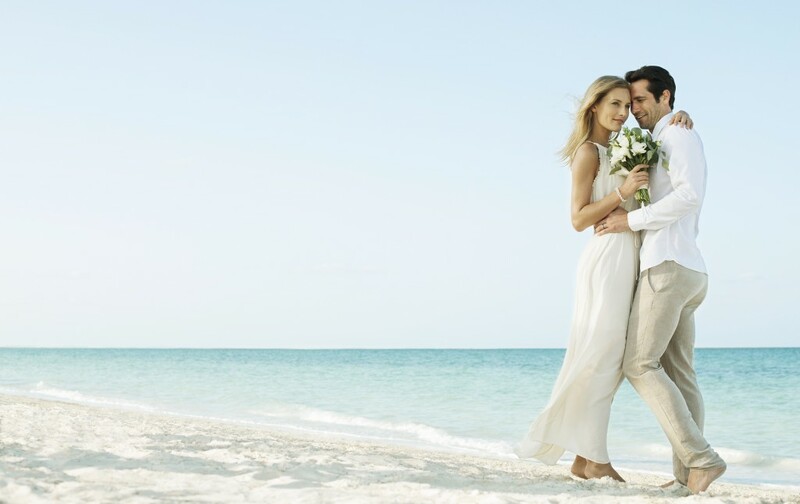 Create unforgettable memories at Finest Playa Mujeres by Excellence Group, Beloved Playa Mujeres by Excellence Group, and the adults-only Excellence Resorts in the Caribbean and Mexico. Contact your local travel agent now to receive all these wonderful perks for your destination wedding (travel period March 1-Dec. 20, 2016)! Booking window ends April 15, 2016. 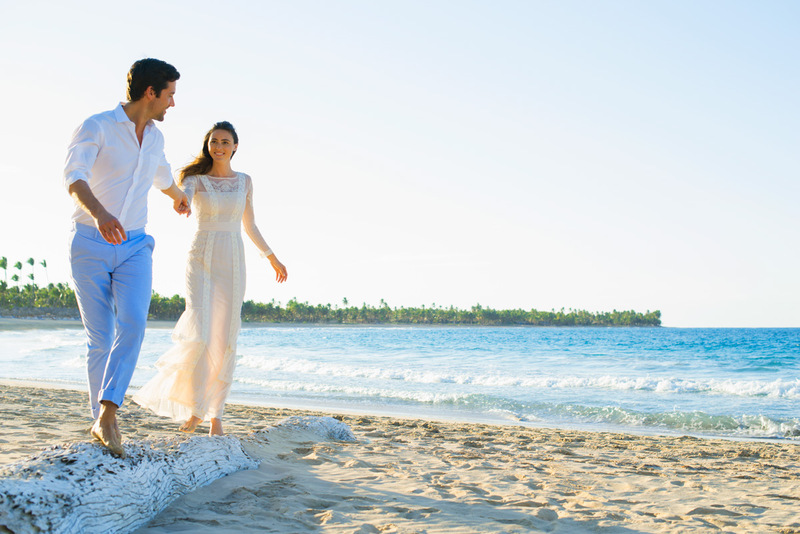 Read more about Excellence Group resorts in Mexico and the Dominican Republic!